A couple of life choices have significantly decreased the amount of pimples on my face, such as staying away from coconut oil, dairy, sugar, and gluten while upping water, vegetables, and yoga. It’s not a 100% elimination–I still occasionally use rms beauty and Kjaer Weis, I have a sweet tooth, and I still love dipping bread in olive oil. I am also still a type A personality trying to chill out. But when I’m not successful and stress/diet pimples rear their ugly heads, I’ve been using Indie Lee Blemish Lotion to speed up their visit. If you are familiar with the Mario Badescu Drying Lotion, the Blemish Lotion is basically a talc-free version. My bottle is a bit messy from use and travel, but the deal is the same. Don’t shake it up–let the pink sediment float to the bottom. Dip a Q-tip through the clear liquid and into the sediment. The clear liquid is what is keeping the sediment moist and damp for application. Then dab your Q-tip onto spots and let it dry and work its magic for a couple of hours before rinsing pink spots off your face with warm water. You might get a sort of clay-ish smell, which will disappear after the lotion dries on your face (a couple seconds), and after you fully (fully!) rinse it off in the morning. I tend to move around when I sleep, so all that face-pillow action tends to rub a little of the pink off my face, but in the morning, I still have 80% of the pink on my face and 0% on my pillow. Do you mind going to bed looking like you have chicken pox? Use Indie Lee. Do you need to look good going to bed? Use Osmia. 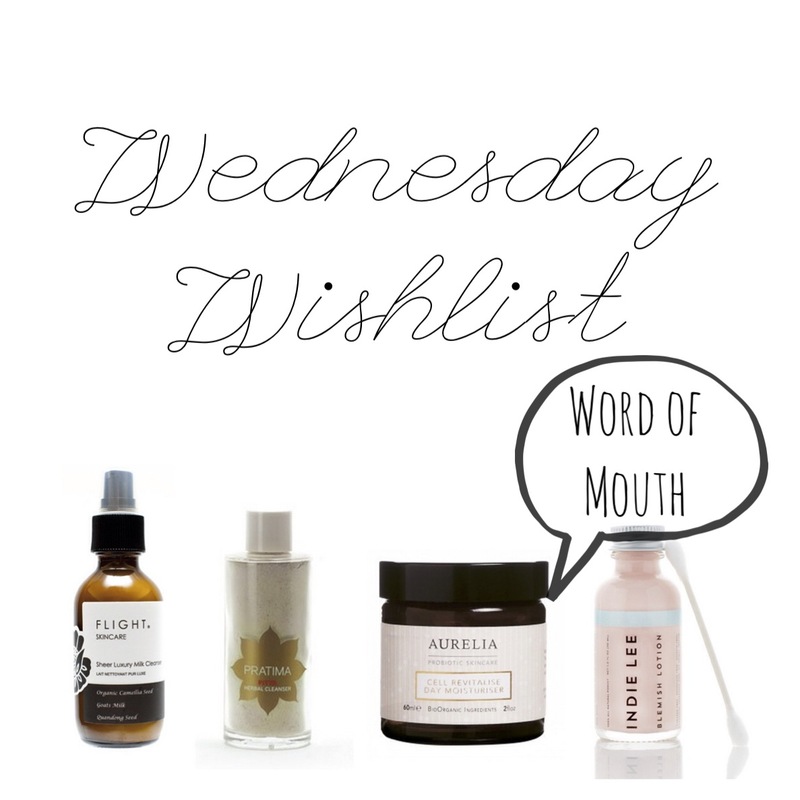 Do you have a couple of hours to dedicate to blemish busting? Use Indie Lee. Are you in a little more of a rush application-wise? Use Osmia. Do you have a big event coming up soon and need a pimple gone ASAP? Use Indie Lee. Are you not in a rush to evict your pimple and want to go a little gentler on them nasties? Use Osmia. 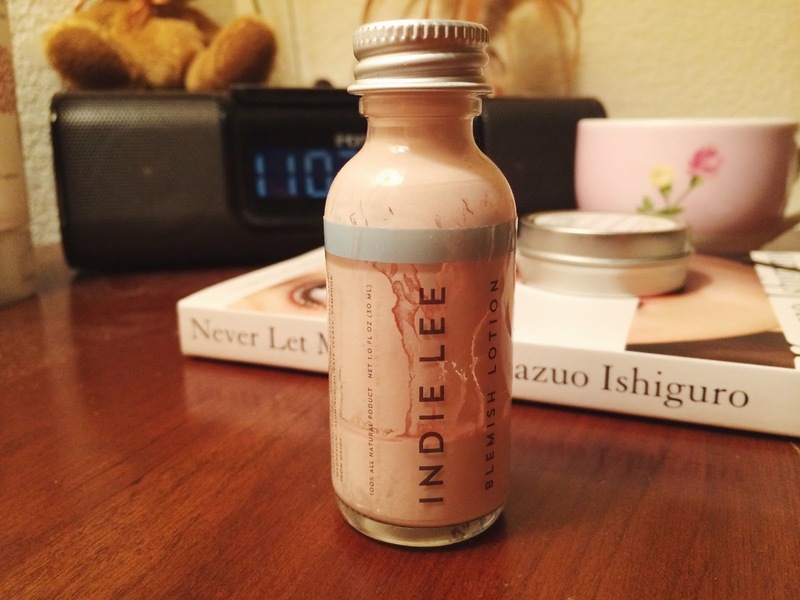 I typically use Indie Lee at night on spots, then Osmia in the morning over moisturizer and under sunscreen (after giving it time to dry while I make/eat breakfast), and this combination decreases the lifetime of my pimples. Note that neither prevents scars–I still get scars from the healed pimples (I also scar really easily) but with much less long-term damage and blood than if I had tried popping the pimples instead. On super nasty whiteheads, the Blemish Lotion is not an overnight fix. I have sometimes had to endure walking around with a full-blown whitehead (ugh) even after using this overnight, but the Blemish Lotion tends to reduce those to a more normal pimple within a day or two (typically two, vs. Osmia which may take two or three days). A typical pimple will then reduce to a scar or nothing within a day or two. Looking at the ingredients, your first reaction may be, “How is this natural? It doesn’t sound natural.” First, natural means nothing legally since it is a mostly unregulated term. Cross-checking all the ingredients with EWG’s Skin Deep database, the highest toxicity rating of 4 goes to salicylic acid, mostly for food additive stuff (toxic if ingested in large quantities, gross, but not really applicable). Isopropyl alcohol and sulfur are rated 1 and 2 respectively for irritation (skin/eyes/lungs), and magnesium aluminum silicate, zinc oxide, and iron oxide are 2/3, 1, and 2 respectively for low organ toxicity. I am typically an ingredients purist–like I said in my Going Green Tag, nowadays I can’t stand putting products with questionable ingredients on my face and body, knowing that whatever I’m putting on my skin, 60% of that is being absorbed into my bloodstream. So this is why I am okay with these ingredients. All have fairly low ratings for toxicity. I am using the Blemish Lotion on a small surface area–just spots and not my whole face. I keep it very, very far from my eyes (learned my lesson once–it burns). I am not eating it. 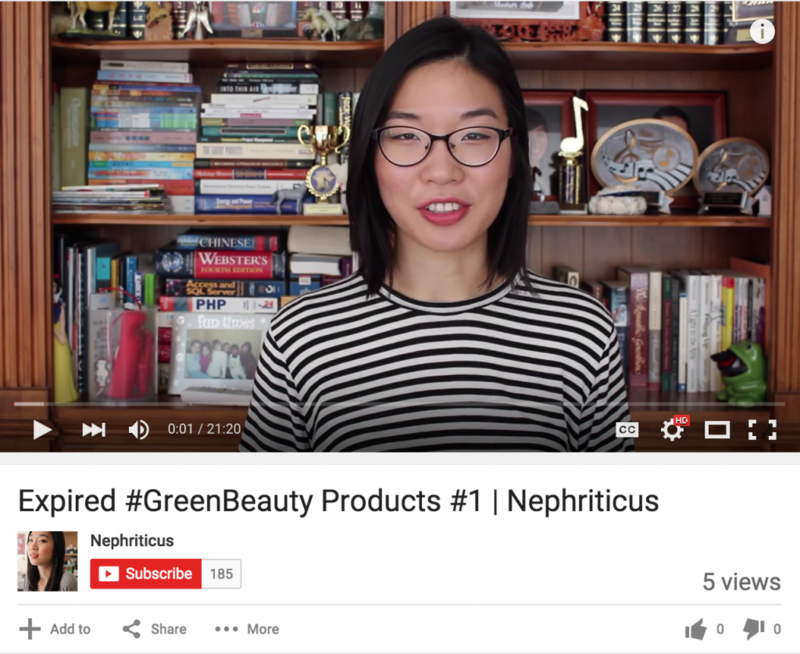 Also, the founder, Indie Lee has a conscience (life-threatening brain tumor as a result from environmental toxins). As her FAQ says, they only use “natural (and naturally derived) ingredients” which are non-GMO and pesticide-free. Cool with me. If you struggled with acne before going green (or even if you’re still non-green), you’ll recognize salicylic acid, which is a beta-hydroxy acid and an effective superﬁcial peeling agent, fancy for this prevents pores from getting clogged up with dead skin cells by sloughing those off (1). Similarly, sulfur also helps to “shed dead skin cells”, “banish excess oil”, and “help prevent and heal blemishes”. As Indie Lee answered in a comment on the page for the Blemish Lotion, isopropyl alcohol is a disinfectant and the liquid keeping the sediment wet and good for use. It evaporates within 10 seconds of application and won’t be absorbed into the skin, and the product or IA is not encouraged it as an all-over treatment–again, spot treatment. You might recognize zinc oxide as a popular green sunscreen ingredient–while it’s probably not intended to block sun rays while you sleep, it does happen to have healing and therapeutic properties that are great against acne. Camphor, in small doses, helps relieve pain and skin irritation. I’m guessing the pink color of the Blemish Lotion mainly has the iron oxide to thank–iron oxides are color pigments that are non-toxic and non-irritating. Your second reaction, “What’s the deal with talc?” Possibly toxic and carcinogenic–might as well stay away from it; better safe than sorry. What’s cool here is that talc contains a small portion of magnesium aluminum silicate, and when comparing the Indie Lee to the Mario Badescu, Indie Lee straight up uses magnesium aluminum silicate instead of talc–going right to the source, nice. MAS, also known as kaolin clay, is a mineral that comes from refined and purified clay and has large molecules that the skin can’t absorb. It is typically used as a thickening agent. Have you used this product? What are your thoughts? If not, what do you use to bust blemishes? Disclaimer: I purchased this product by myself from Woodley and Bunny (which has sadly since closed its online doors), but you can also get this from A Beautiful World (UK) or direct from Indie Lee (US). All thoughts and opinions are my own. 1. Bae, Byung Gi, et al. “Salicylic Acid Peels Versus Jessner’s Solution For Acne Vulgaris: A Comparative Study.” Dermatologic Surgery 39.2 (2013): 248-253. Academic Search Complete. Web. 25 May 2014. Though I’m not officially-officially participating in #NoBuyJanuary, I have been very good and have not bought any new products since the new year. Okay, I bought a texturizing spray from my local organic salon after I chopped off my hair last weekend. Okay, I also bought more Dr. Bronner’s soap after returning to my apartment after winter break. Otherwise, I have been avoiding January sales like the plague. But I could have one more facial oil–no, I must resist. And for good measure–I’ve been loving the products I have even more. But I could have one more cleanser–no! Have you tried any of these products? What have you been wishing for?